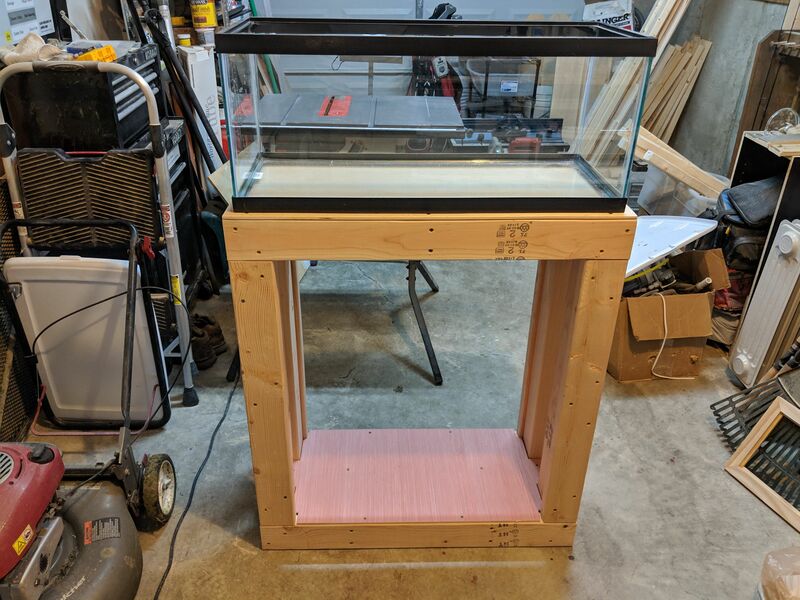 The Planted Tank Forum > General Planted Tank Forums > Tank Journals > 20 Long - First FW Planted Build! 20 Long - First FW Planted Build! After many months off tending to some serious reef tank issues, I'm back and ready to get my first freshwater planted tank up and running! I've had reef aquariums my whole life, but there is a certain subdued, simple, yet striking beauty to a well done planted tank that has always drawn my interest. 1. Full bottom carpet plant. I'm a tinkerer. I love all that goes with setting up a tank. Every part of the build, testing, tweaking, researching, etc. I believe that will be reflected in this build. I hope I can lean on the experience of those more well versed in this hobby for the assistance I will most certainly need to be successful. As such, I thank everyone who contributes in advance, and would like to reiterate my thanks to those who have helped to this point! chicken.nublet and jeffish like this. You'll have to excuse my mess of a garage. It'll get cleaned up when the build is finished, but I usually work in a state of organized chaos. 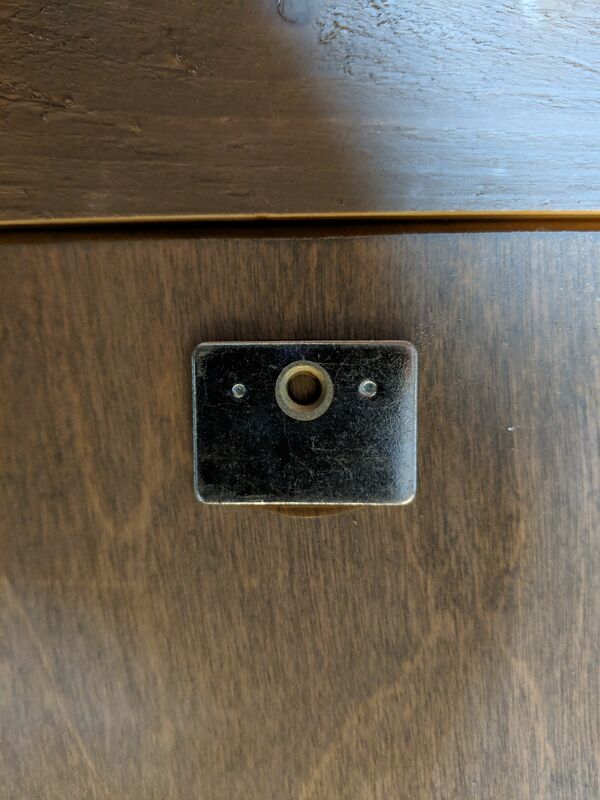 You'll also see the outlets. 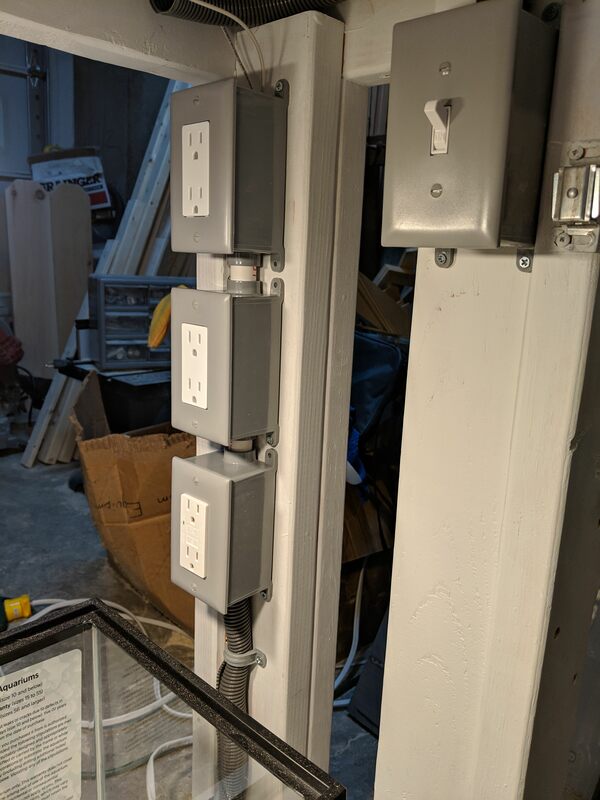 I like having outlets built into the stand. It's infinitely more convienent. Of course, you must make sure to have the first outlet in the chain be a GFCI! Subscribed! 20g long footprint is best &#x1f604; can't wait to see yours develop! Tank stand skeletons are ugly. Well, I like them, but they tend not to fit with the decor of a room. And it's generally convenient to have the guts tucked away. People and animals have a tendency to do major damage to fish tank guts... So, time to "skin" the stand. 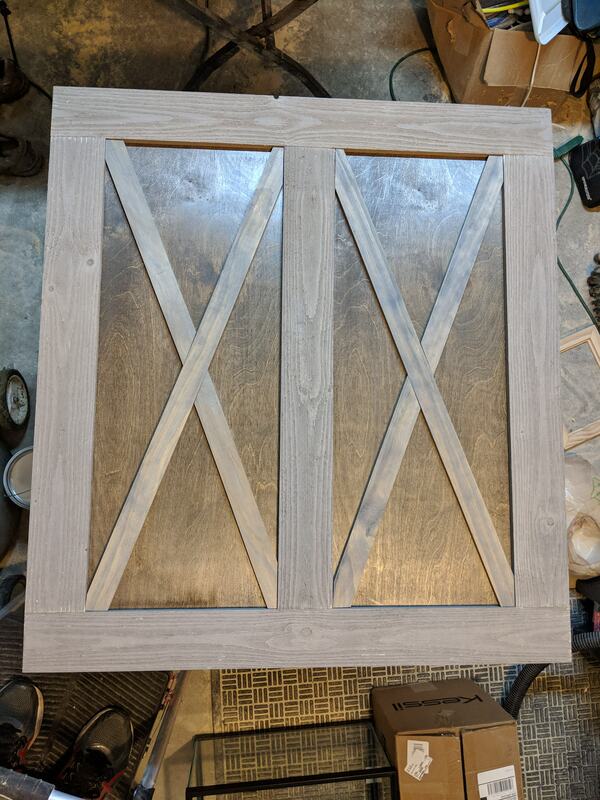 I built this panel, and two matching side panels, but couldn't figure out what color to stain the Xs. Thanks to the advice of someone on a hockey forum of all places, I found my answer. Grey! Just like the rest of the panel... But the second part of the suggestion was to make the background a dark walnut, which I think turned out very nice. 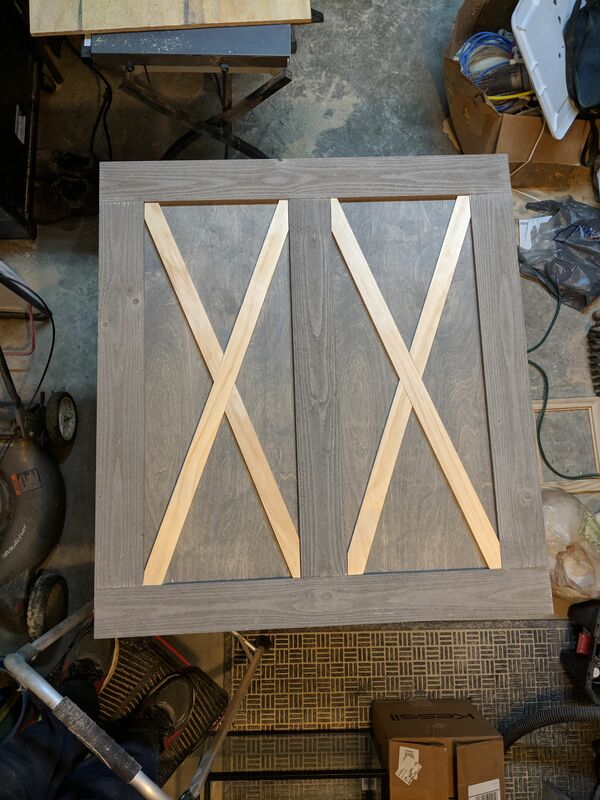 This way, all three panels are completely removable, and exceptionally easily replaced. You would be amazed at how much more access this grants you to the inside of the stand. Removing the entire sump, if necessary, becomes much, much easier. Here is what it looks like from what will be the back side of the stand. 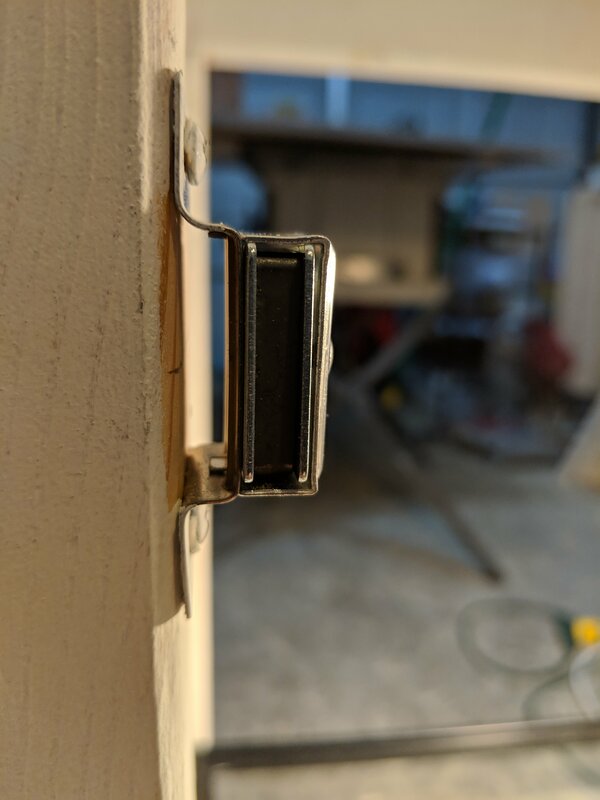 No hinges in sight! I really have to thank a few people for assisting in solenoid selection. Particularly @jeffkrol, @PlantedRich and @guy4123. I learned a lot about solenoids and what best suited my needs. Went with the Clippard and it works great! 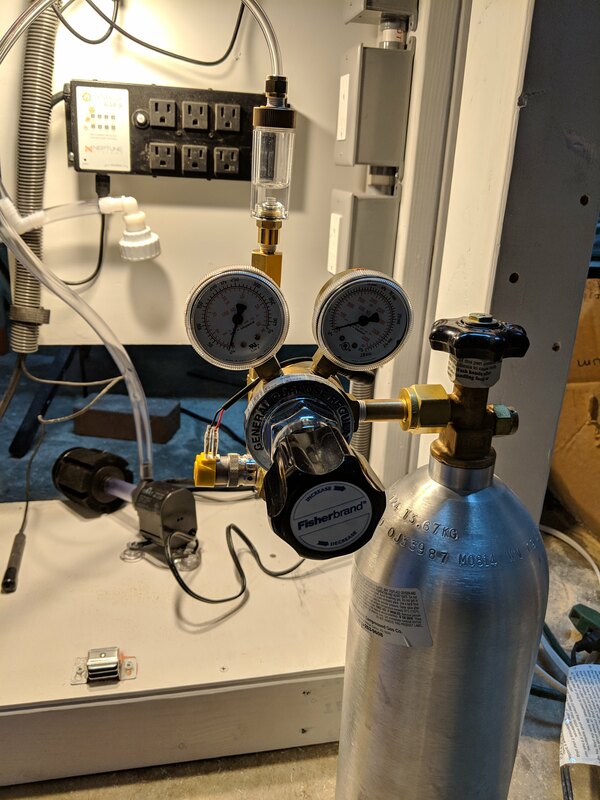 I managed to squeeze the entire setup into a small space because the solenoid was so small. Also a huge thanks to @Aqua99 for basically walking me through regulator selection. I got a tremendous deal on the regulator following Aqua's advice. 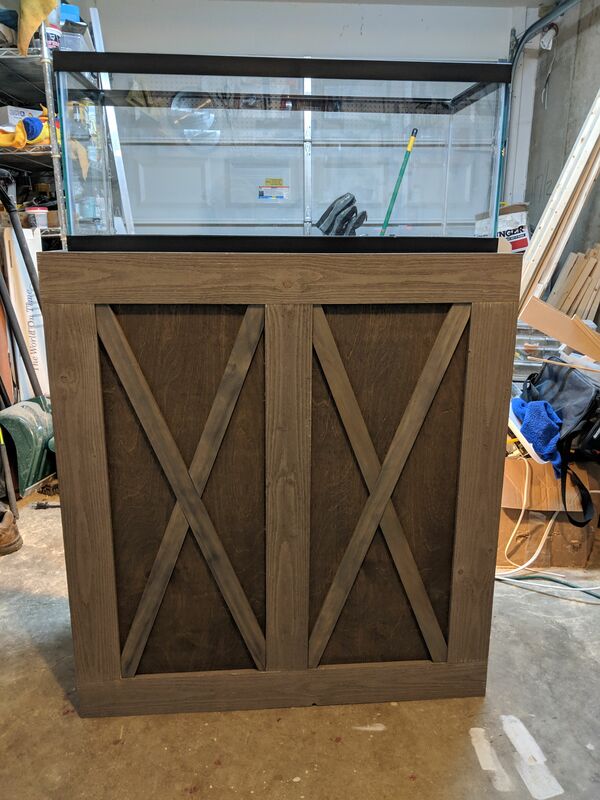 Bump: Those pictures are a bit of a teaser, so here is a slightly more finished state of the stand. 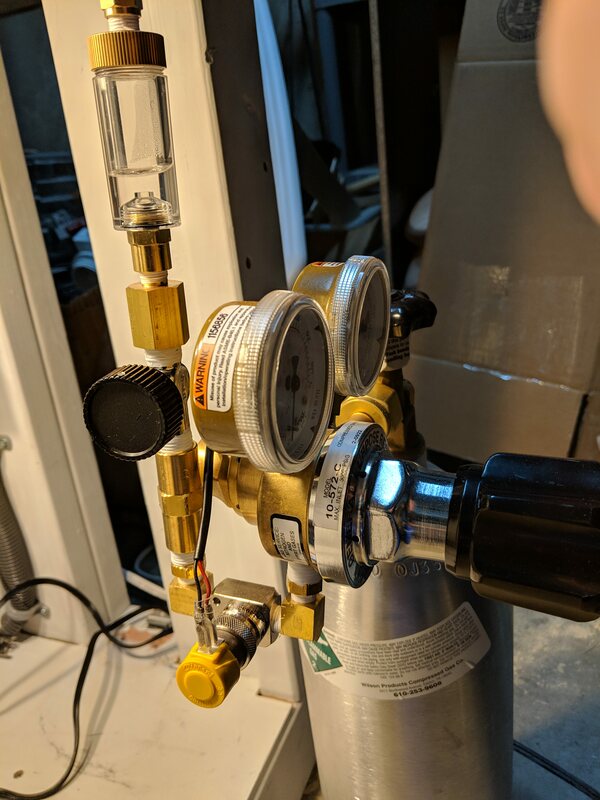 I admittedly started to get a bit lazy with plumbing. It's not super clean, and I'm not super proud of that fact, but it should be very functional, and that matters most. You can see that this tank will be controlled via an Apex. irishspy and reddhawkk like this. Some may recognize this overflow setup. 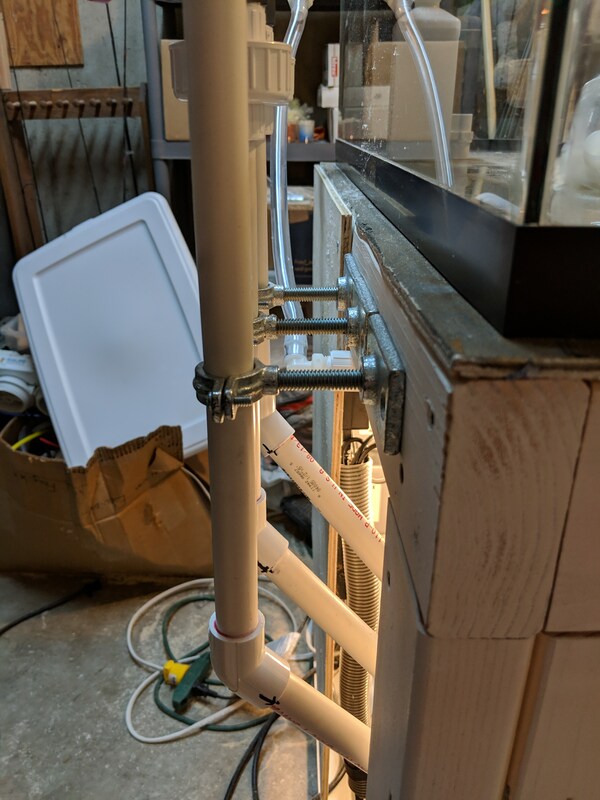 for everyone out there that has ever run any type of overflow system and not used the beananimal setup, do yourself a favor and try it out on your next setup BeanAnimal's Bar and Grill - Silent and Fail-Safe Overflow System. By far my favorite return system. 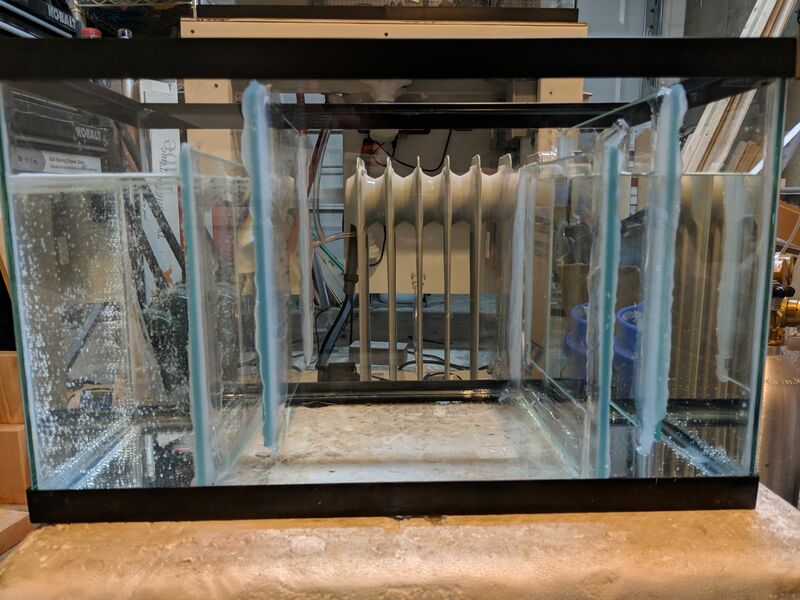 It's not complete yet as I just got the glass to construct the actual overflow box, but you can see the beginnings of it. I'm interested to see how much space this actually takes up in the tank. I don't think it will be too bad once completed. 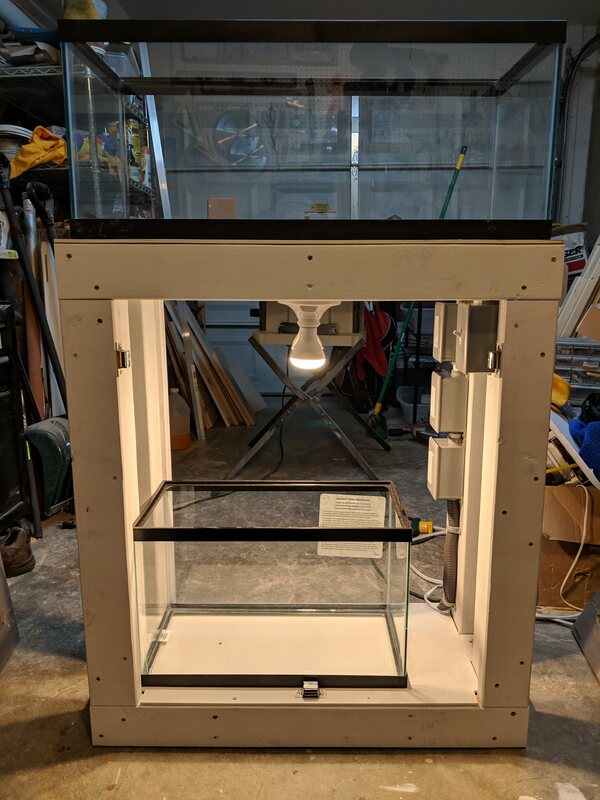 It's certainly going to be far less obtrusive than having any equipment in the tank. irishspy and Mike A. like this. If there is one thing that I am terrible at, it's silicone seams. I will always and forever be awful at them. 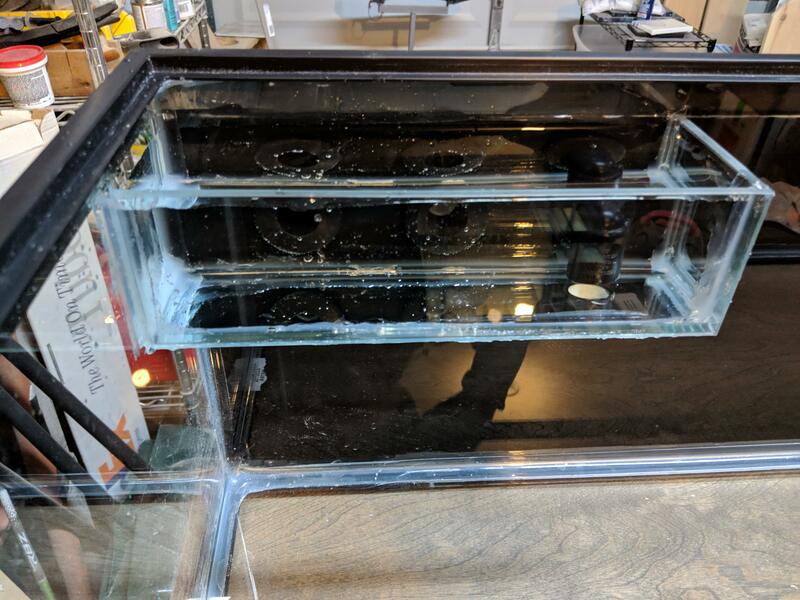 That said, it's doesn't help when you order glass pieces that aren't quite large enough and you end up with 1/4" gaps on either side of your sump baffles... At least they seem to be watertight seals! 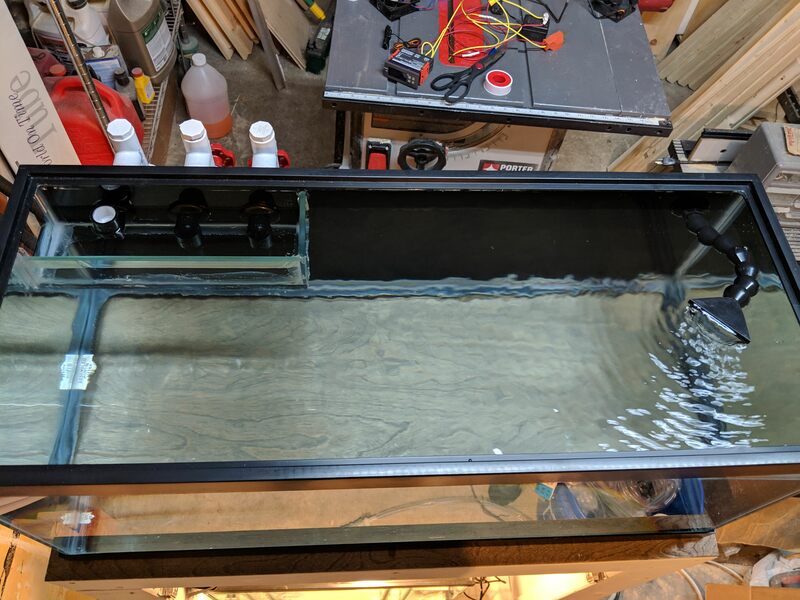 The glass for the internal overflow fit very nicely. 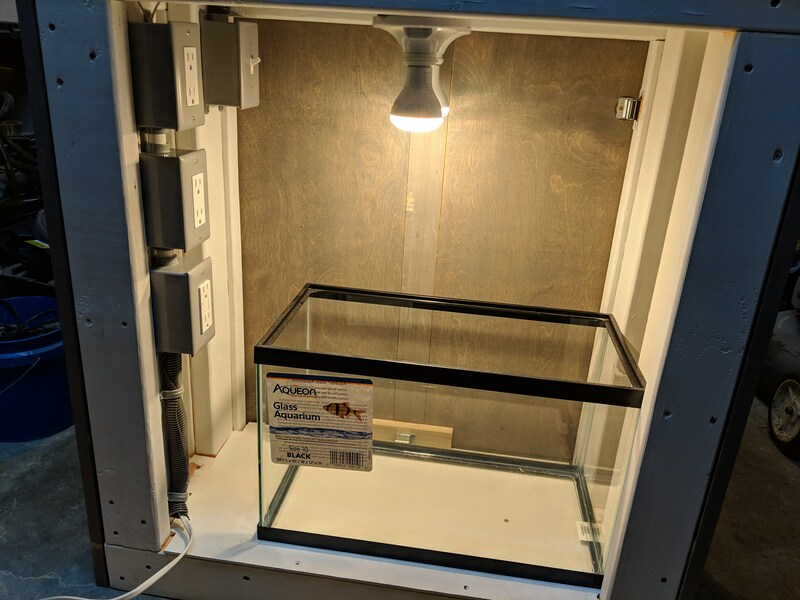 It doesn't take up too much room in the tank, and the seals also seem to the water tight! Getting a bit closer every day! 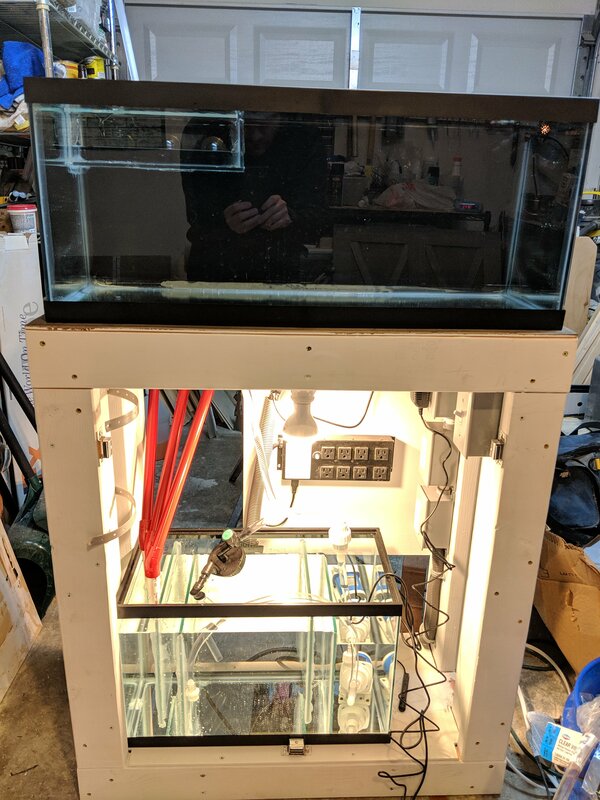 Light is on order, just need to stock up on some test kits and ferts. I'm thinking of trying a dry start to for the carpet plant. Got some ideas for that process. irishspy, Ken Keating1 and tredford like this. Light shipped today! Got a good deal on a second hand Seneye. I've read mixed reviews, but I'm interested to give the PAR meter a shot. Thinking about ferts. I'd love to do a solution to dose via a doser. This is where I would like to lean on experience (@Greggz, @burr740, @Seattle_Aquarist) and where I lack it completely. 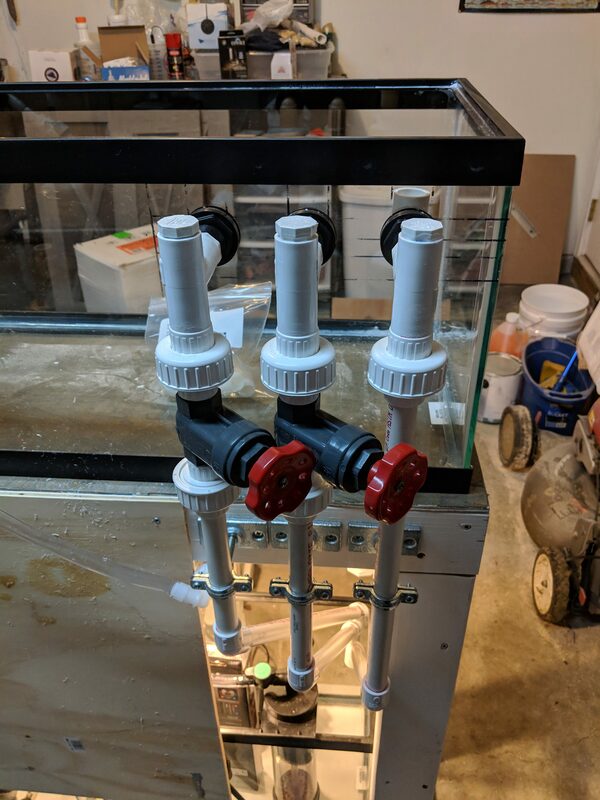 I'd like to follow the EI method, and would greatly appreciate suggestions on ferts, as in what and where to purchase. I think I understand micros vs. macros. If I understand correctly, the main macros are phosphate and nitrate. Each can be added via different compounds. Micros include iron, calcium, magnesium, etc. 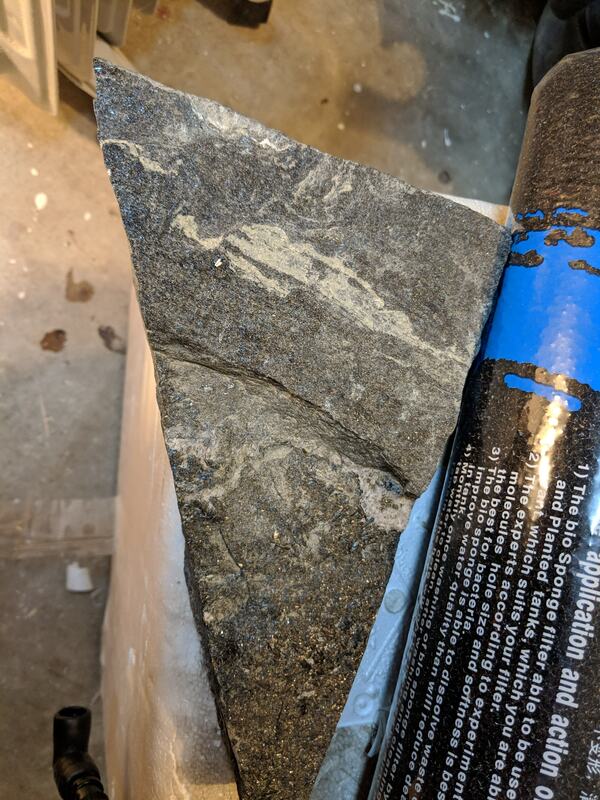 Is there a good micro mix that would be recommended? Specific Macros? 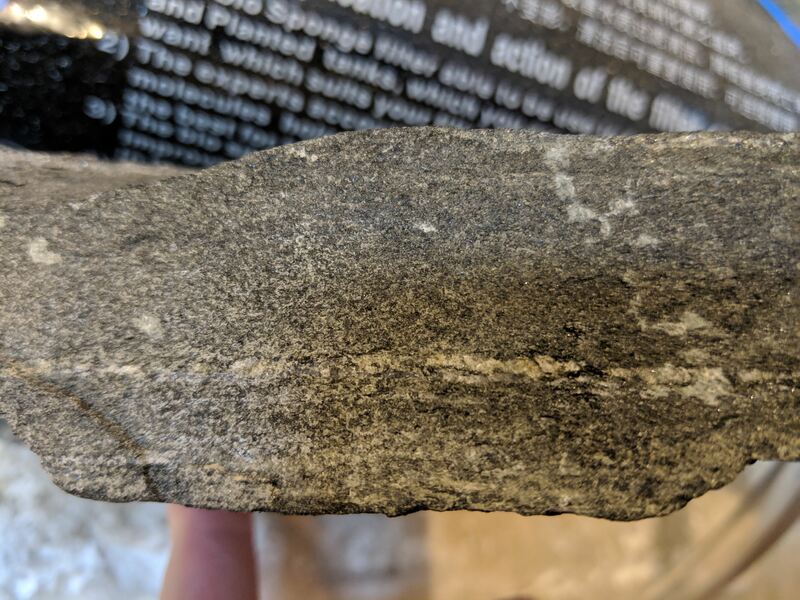 Anyone have any guesses as to what this rock is? I'm not familiar with with this rock. 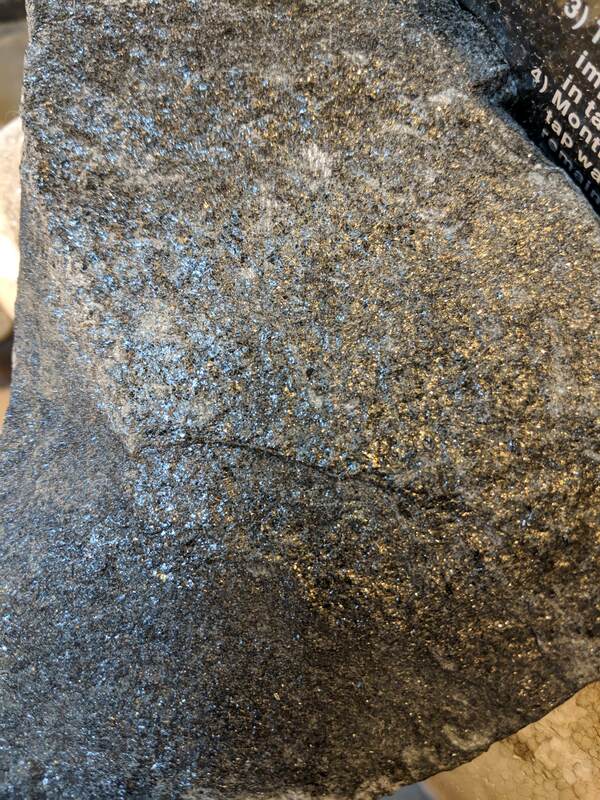 It's almost shiny with gold colored flecks. My local saltwater fish store said they got it mistakenly and gave me like 60 lbs for free. I don't want to just plunk it in a tank without knowing anything about it, though. Getting close! Light arrived, just have to mount it. Doser arrived, a few other odds and ends will arrive tomorrow. I'll get some more pictures up soon. I have a question regarding water. 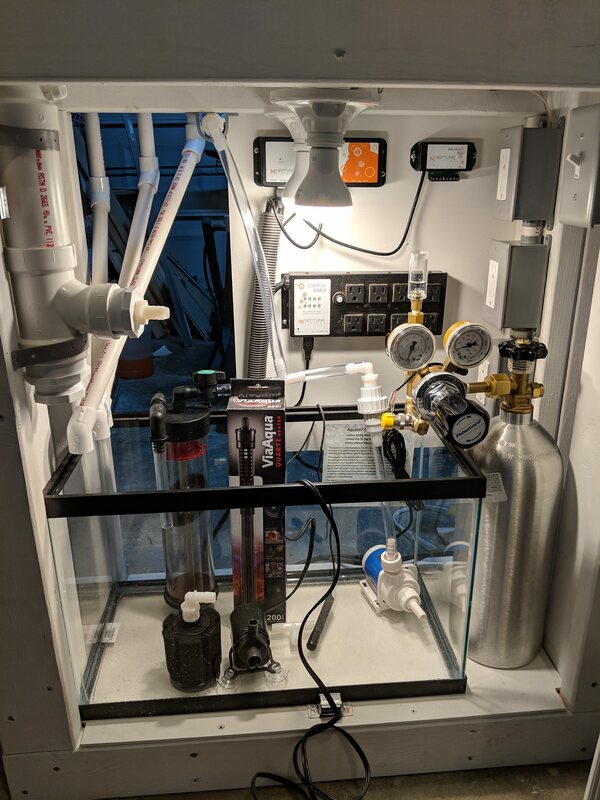 Is there a general preference between dechlorinated tap water or reminerlized RO/DI water for a high tech build? I have an RO for my reef tank, so either option is equally viable. I like the idea of being able to precisely control the makeup of the water after going through the RO, but if it isn't worth the effort (or potential of screwing up the remineralization process) for the potential gain, I'd rather not go down that path. That rock kinda looks like mica. Is it a bit flakey? A quick search shows it seems ok to use if that's what it is, but I have no experience with it myself.